A big home repair can be an unexpected and major expense. A home warranty can offer some protection, whether you are buying a new home or just trying to protect your budget against problems where you already live. Before you sign the home warranty papers, though, be sure you understand what it might – and might not – cover. A home warranty is like any warranty – it provides coverage when things break. Although home warranties differ based on the company that issues them and sometimes on where you live, in general they work much the same. You pay the premium and then, if you have a problem with a covered item – such as your plumbing, electrical or HVAC systems or a major appliance -- you call the warranty company. They send out a contractor to assess the situation and determine whether you have coverage. If you do, they pay all or part of the cost of repairing or replacing the item, based on the specifics of the contract. You might not have coverage if, for example, the contractor determines that the item with which you are having the problem has not been maintained properly or has been abused. You also might not have bought coverage for that specific item. And regardless of whether you have coverage, you probably are on the hook for the diagnostic service call. Still, if the warranty applies, you can avoid the huge budget hit you would take if you had to pay for the total repair or replacement out of your own pocket. Could your budget absorb a major expense? 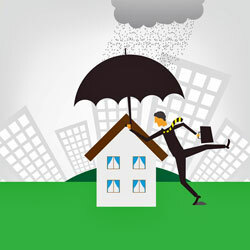 The big benefit of home warranties is that they provide peace of mind and protection against a budget-busting expense. The cost of the warranty is much less than it would cost to replace a major appliance. And of course if your entire heating and air conditioning system went out in the same year, for example, you would be way ahead if you had a home warranty. Just be aware that there might be years when you pay your premium and don’t have a claim. For many people, the decision comes down to whether they could afford to pay for a repair or replacement out of pocket or whether they would rather pay the premium, even if they don’t use the coverage in a given period. What do you know about your home? If you have lived there for years, for example, you know whether your covered items have been properly maintained. You probably even can prove it if the warranty company wants to dispute. If you have recently bought the home, though, you might not be able to show that the items have been maintained, which could mean the warranty won’t apply. If you are buying a home, you can ask the seller for proof of maintenance or, at least, the contact information for the contractor that provided the maintenance. How handy are you? If you are a handy person who fixes most things yourself, you know that doing it yourself can save you a lot of money over hiring someone to do it for you. Weigh that when you consider buying a home warranty or choosing what you want the warranty to cover. Are you attached to your contractor? You must use a contractor approved by the warranty company. That means you can’t choose your own contractor. If you don’t have a preferred contractor, you probably don’t care. But if you have worked with a contractor for years, that could be a problem. You also might not be able to choose the model or brand if an item needs to be replaced. If you decide to buy a home warranty, do some research to ensure that you choose a reputable company. Then read the fine print so that you understand exactly how the coverage works and what is and isn’t included.